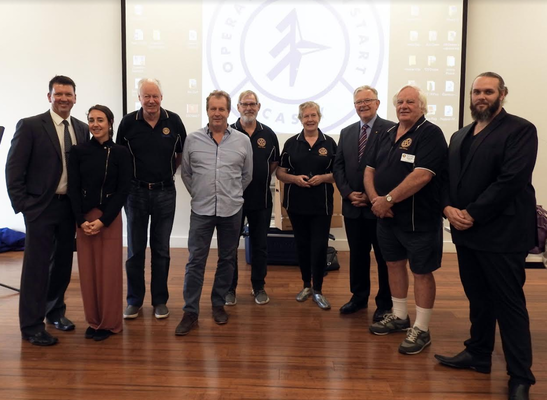 The Rotary Club of Narre Warren has lent a helping hand to a program that helps Casey students ‘at risk’ of dropping out of school. The club donated camping gear and school equipment valued at $4,600 during the 46th Graduation of Operation Newstart Casey on Wednesday 4 April. Operation Newstart re-engages young people aged 14 -16 with their families, schools and their communities through outdoor based activities, work place visits, community service, and skill-based activities. Club president Keith Roberts said the club was able to donate a number of sleeping bags, swags, wet suits, a large car fridge, two large marquees, and a computer for Newstart Casey thanks to the club raising $2,600 as well as the Rotary Foundation chipping in $2,000. “These items will assist the worthwhile program to continue in its assistance to local at-risk students,” he said. Rotary Club of Narre Warren is always looking for people to assist in their projects and meet the second and fourth Wednesday of the month at the Narre Warren Bowling Club at 6.30pm.